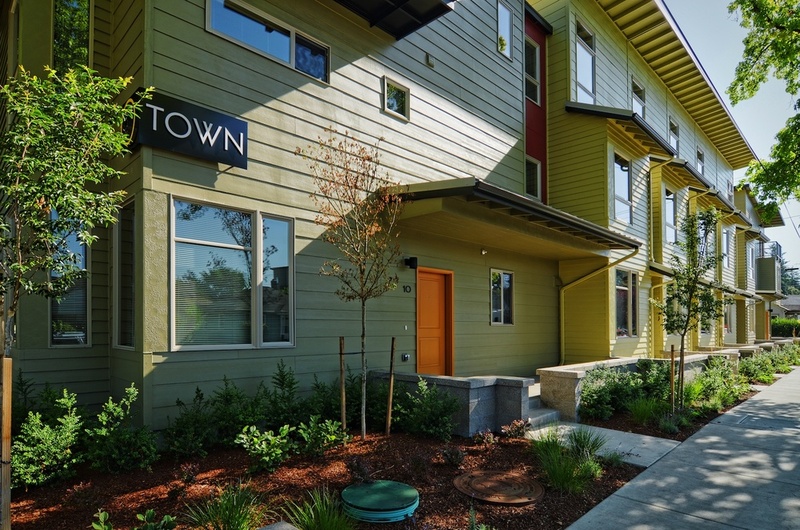 O-Town Rowhouses at 18th and Patterson introduces a variation on two traditional urban types, rowhousing and courtyard housing, that reinforces the street, supports community, and brings a legible “middle scale” to the West University Neighborhood. 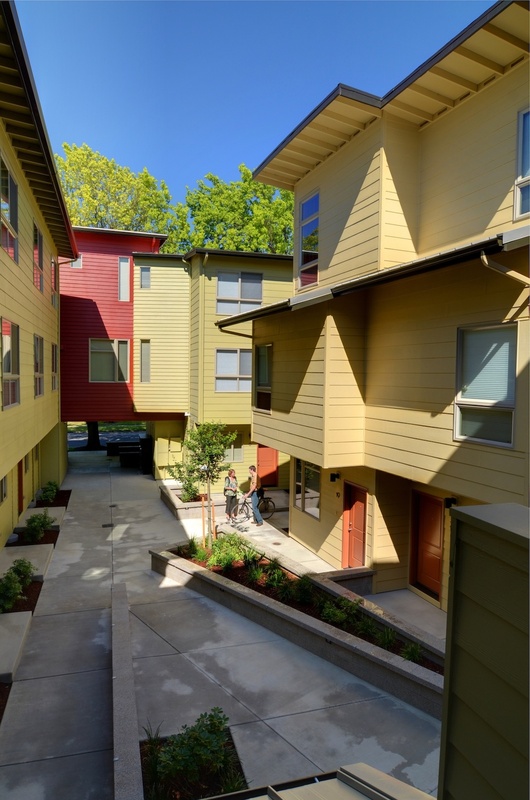 On a full quarter block with crossing mid-block alleys, the project achieves the maximum allowable density allowed of 33 units with only a three-story building and no basement. Housing units face the streets in a traditional rowhouse pattern, with front doors, porches and bays forming a unit-scaled rhythm. Entry terraces, a shared internal courtyard and upper balconies provide outdoor space for each unit and a layering of space from public to private. Variations in unit type, highlighted with color accents, occur at the corner transitions between blocks of rowhouses. The “red box” over common courtyard entry, and flats at the corners complement the rowhouse pattern. 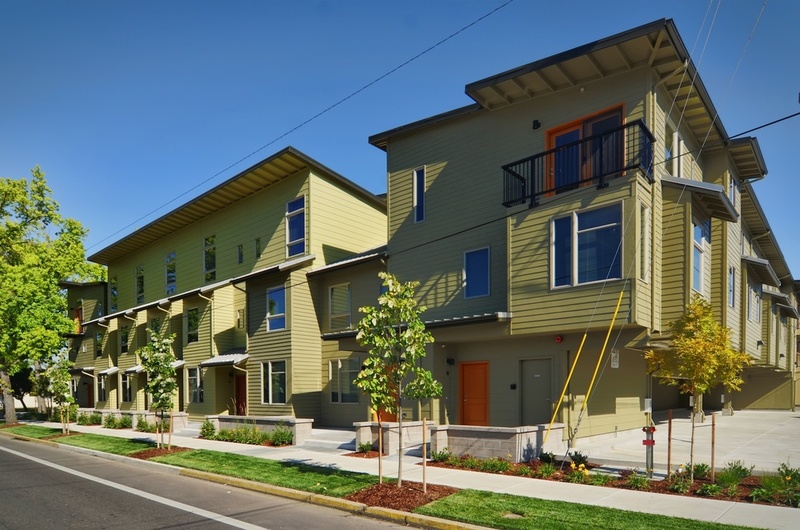 A duplex in the middle, rotated 10 degrees off the grid, creates a series of intricate urban spaces connecting to units along the alleys. Windows and doors are carefully placed for privacy, views and daylight. Parking is tucked in under the building in tandem spaces off of the alleys. Parking is provided off-street, under the building, at a ratio of 1.5 spaces per unit without requiring underground or open-lot parking. 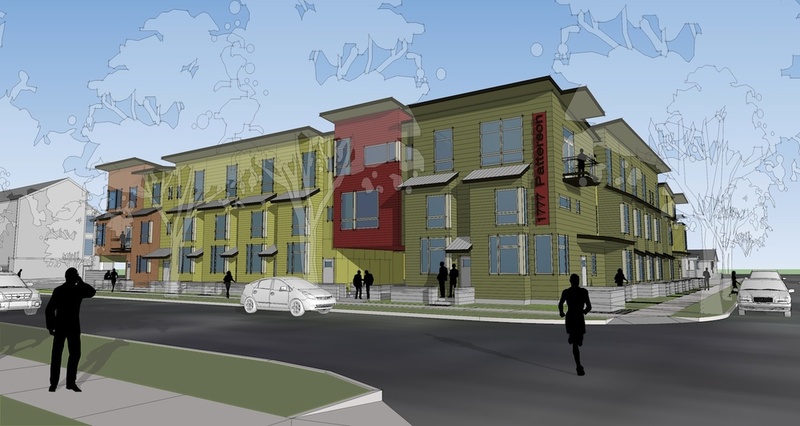 The entire project with all parking, and shared amenities fits snugly on 25,600 sf.